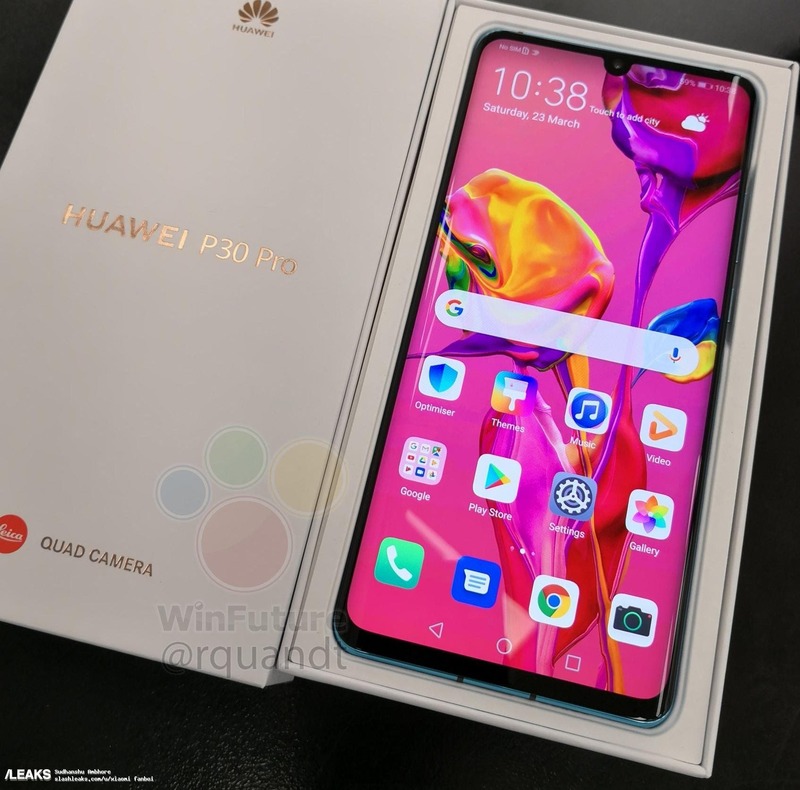 Huawei flagship P30 and Huawei P30 pro will be launching in Paris next Tuesday. We are only about 24hrs from the official debut, but more and more information is still flying in, the latest of which gives us a good look at the retail box of the upcoming devices. The leak comes courtesy of Roland Quandt of Winfuture and there appears to be just one image to look at, but it is definitely worth taking a look at, as it confirms a few of our suspicions. 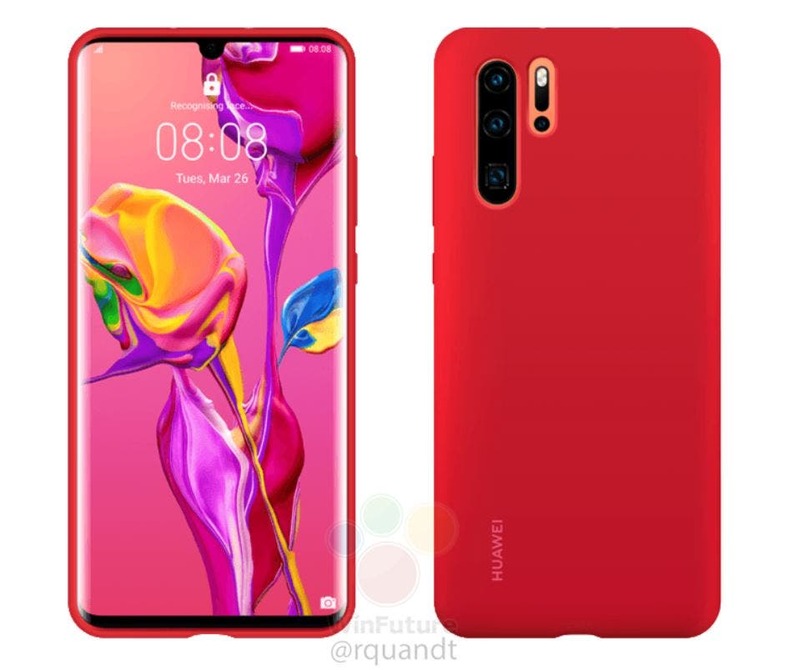 While not the most revealing leaks we have seen so far, the retail box reveals several details about the Huawei P30, including dual curved display with water-drop notch, slim bezels on both sides, a larger one on the bottom, and Quad-camera setup, water-drop notch, as well as the same shimmering and colorful back as in the P20. 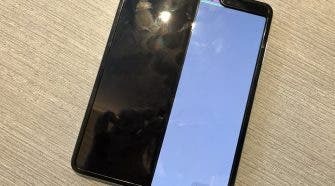 When it comes to specs, the box has nothing new to tell, however, we already got to know via various leaks the device is’ said to a pack 6.47″ Full HD+ (2340 x 1080 pixel) OLED panel with an integrated fingerprint reader under the glass., while the triple camera gets a third ToF sensor, LED flash and laser autofocus. 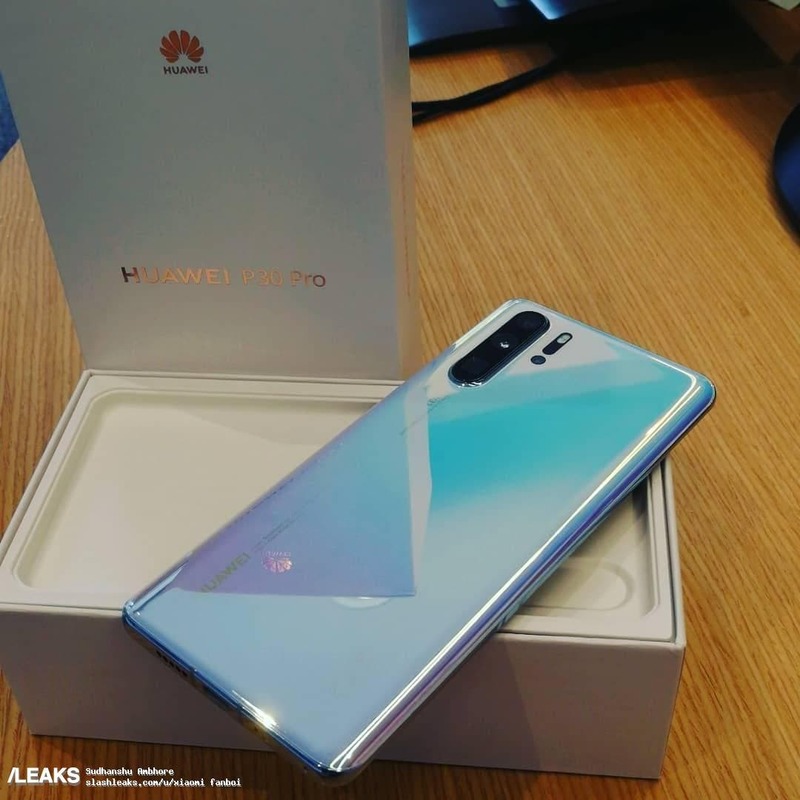 The device will come packed with a HiSilicon Kirin 980 SoC l with 8GB of RAM and 128GB onboard memory, and there will be a 40W fast charging system for Huawei P30 Pro.